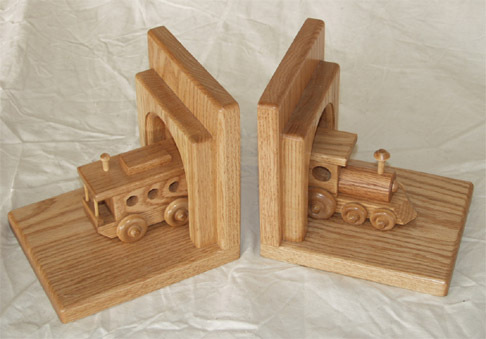 Children love trains, and what better way can you think of to get them excited about their books than a pair of these hand-crafted solid oak train bookends? Built to last, and not made out of cheap wood or plastic that will easily break, or metal that can scratch your shelves, these bookends are an excellent invenstment into your child’s future! They can be stained an a variety of colors to match your decor.